A rather amusing but shocking email has been spreading around the internet recently. You may have seen it. It is one of those chain emails that, after some consideration - you recognize as worthy of passing along. It says it was written by Charlie Reese is a former columnist of the Orlando Sentinel Newspaper. I often ask people a question - what is the oldest government structure in the world? The answer is the United States, circa 1776. Every other government was revised or restructured during WWI, WWII or some other war or insurrection, or independence movement. I am not a revolutionary - but there is a goundswell of rational and practical people who recognize that at a very high level - the citizens of the United States are over governed. We have too much of everything - laws, entitlements, etc. I honestly do not believe that we will have much luck trying to "fix" it. There are too many special interest groups - which lead us to where we are today. 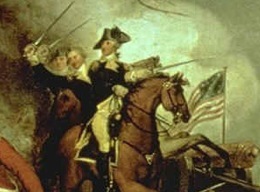 After you read this - remember that our Great Nation was founded as a result of revolution caused by unfair taxes. 100 senators, 435 in the House, 1 President, and 9 Supreme Court justices equates to 545 human beings out of the 300 million are directly, legally, morally, and individually responsible for the domestic problems that plague this country. Those 543 human beings spend much of their energy convincing you that what they did is not their fault. They cooperate in this common con regardless of party. What separates a politician from a normal human being is an excessive amount of gall. No normal human being would have the gall of a Speaker, who stood up and criticized the President for creating deficits….. The President can only propose a budget. He cannot force the Congress to accept it. What you do with this article now that you have read it……… Is up to you.